Still, the Pentagon on Thursday brushed off Putin's boast of developing "invincible" missiles, claiming the United States was fully prepared for anything that might come its way. Washington: Russian President Vladimir Putin's claim to have developed a new generation of missile that is impervious to any Western shield has highlighted a gap in America's already imperfect missile-defense network. In a national address Thursday, Putin described several advances in missile technology, including a hypersonic weapon that can fly at many times the speed of sound and evade existing missile-defense systems. While experts are deeply skeptical about how close to operational such a missile might actually be, US officials in recent weeks have sounded growing alarm about the potential threat. Hypersonic weapons under development by Russia and China -- as well as by the United States -- can beat regular anti-missile defenses as they are designed to switch direction in flight and do not follow a predictable arc like conventional missiles, making them much harder to track and intercept. 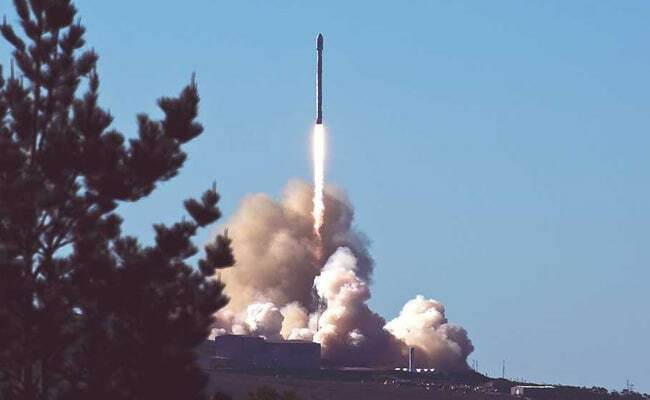 Gary Pennett, director of operations at the Missile Defense Agency, said the potential deployment by America's rivals of hypersonic weapons -- which could be launched from planes, ships or submarines and carry either nuclear or conventional payloads -- would create a "significant" gap in US sensor and missile interceptor capabilities. "The key challenge to US national security and the security of US friends and allies is the emergence of new threats designed to defeat the existing" ballistic missile defense system, Pennett said recently. In its proposed $9.9 billion requested budget for 2019, the MDA is asking for $120 million to develop hypersonic missile defenses, a big increase from the $75 million in fiscal 2018. "We are not surprised by (Putin's) statement, and the American people should rest assured that we are fully prepared," Pentagon spokeswoman Dana White said. White House spokeswoman Sarah Sanders said Russia has been developing "destabilizing weapon systems" for over a decade in direct violation of obligations to non-proliferation treaties. But despite the Pentagon's claims, America is far from capable of stopping all types of missile attack, a fact it has lived with since the Cold War. While it has had some limited success in developing interceptors capable of stopping one or two missiles from a rogue regime like North Korea, a barrage of nukes from Russia or anywhere else would be unstoppable and trigger the "mutually assured destruction" of both nations. Barry Blechman, co-founder of the Stimson Center, a nonpartisan anti-nuclear proliferation think tank in Washington, scoffed at both Putin's claim to have developed a new hypersonic arsenal, and the Pentagon's rhetoric that it is prepared to meet any threat. "We don't have effective defenses, so we are not prepared to deal with an attack," Blechman told AFP. But US officials increasingly are turning attention to trying to improve the Pentagon's own offensive and defensive hypersonic technologies. The military's Defense Advanced Research Projects Agency (DARPA), which innovates and develops new warfighting technologies, is working to improve America's own hypersonic missile capabilities. DARPA Director Steven Walker said the agency is working on several projects, including two in partnership with the Air Force, to develop hypersonic engines and weapon prototypes. "If you look at some of our peer competitors -- China being one -- and you look at the number of facilities they have built to do hypersonics, it surpasses the number we have in this country and is quickly surpassing it by (a factor of) two or three," he told reporters Thursday. "It is very clear that China has a focus on hypersonics and making it one of their national priorities," he said. "We need to do the same."